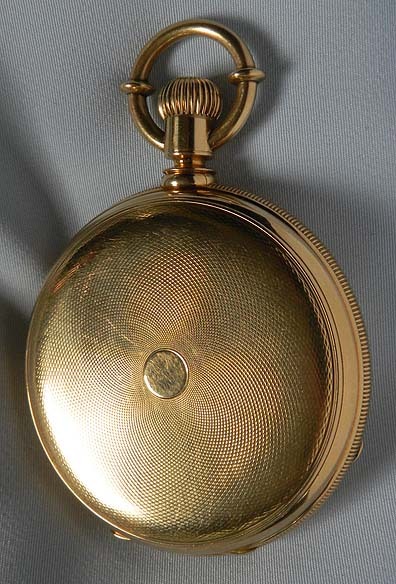 Fine Swiss heavy and unusual 18K gold antique pocket watch by Charles Jacot circa 1875. 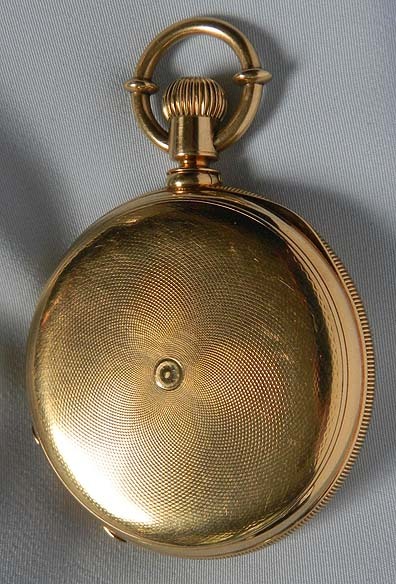 Engine turned case with coin milled band. 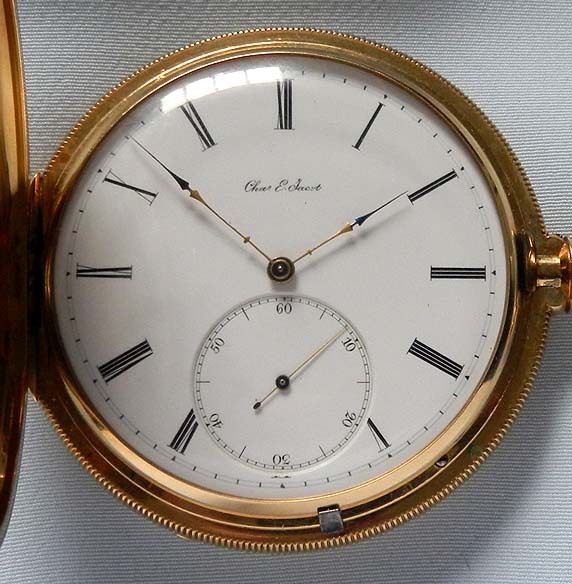 Fine white enamel dial with black markings and 2-tone hands. 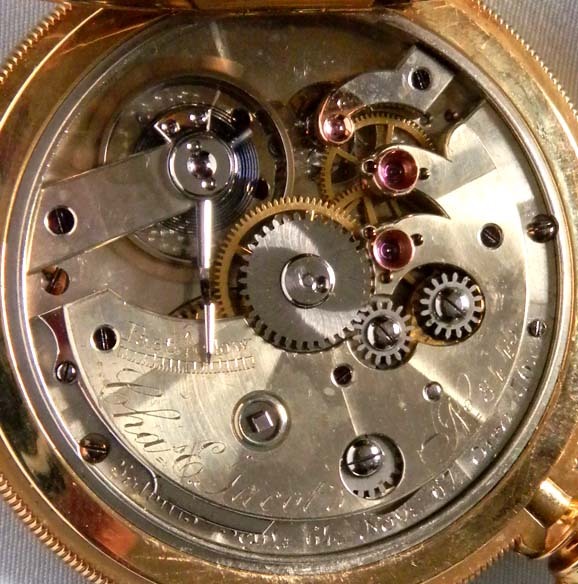 Fine and distinctive stepped nickel 18 jewel movement with gold screwed jewel settings. Particularly fine condition throughout. 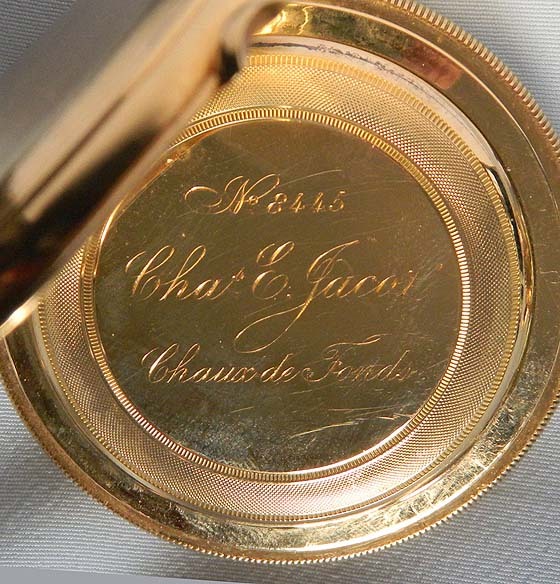 This is one of the nicest examples of Jacot's 2-plane movement that we have seen.